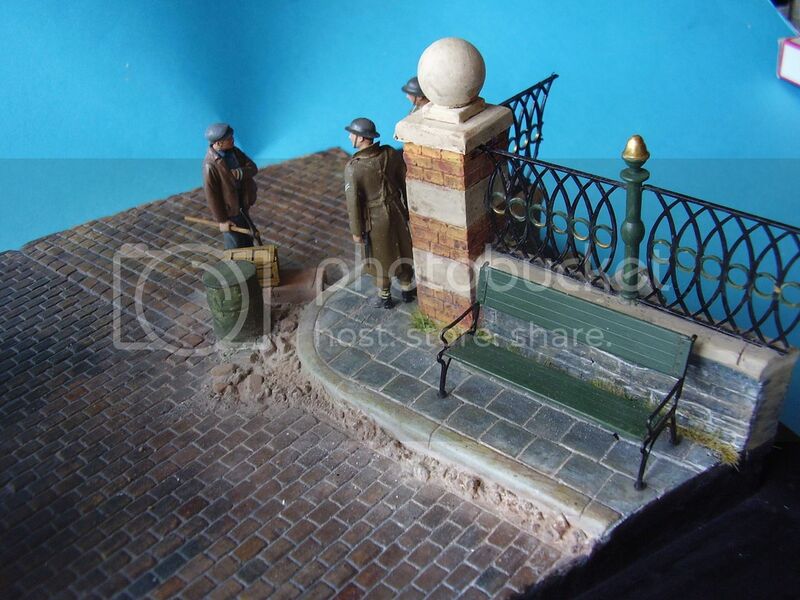 Great North Roads have an extensive range of diorama bases, buildings and ruins, roads and bridges, scenics and accessories for the modeller. They provide bases in 1/76 scale and 1/35 scale. The kits are made from a tough, dense dental plaster and cover a wide range of choices. A recent visit to the Open Day at IWM Duxford saw Great North Roads in attendance and resulted in some subsequent purchases for some ongoing projects. 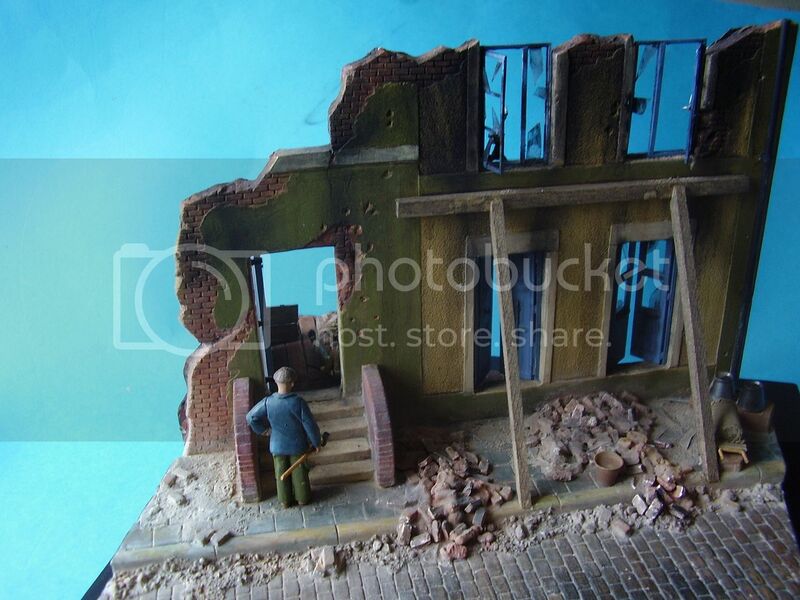 This is a look at Great North Roads 076 diorama base the Sandbag Emplacement in 1/35 scale. The kit comes packed in a sturdy box, the item being wrapped in bubble wrap and the box filled with polystyrene pellets for further protection. The box displays a colour picture of the base for reference and contact details for the company. The base is a simple one piece structure of a sandbag gun emplacement. 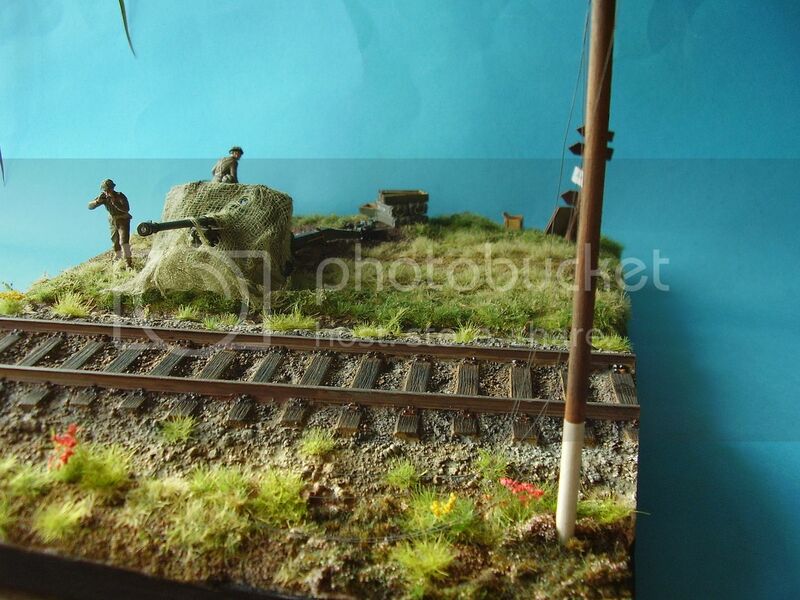 The base measures 300mm x 230mm and is suitable to take a reasonable size artillery piece. The sandbags are shaped in a circle with open end tunnel access. The stacking of the bags looks very good, the finish on the top of the bags is quite good, showing texture and indentations in the bags. The ground texture looks good with small rises and bumps and there are a couple of unused sandbags to the left hand side of the emplacement entrance. I would have liked to have seen the entrance sides supplied as separate items, it would have given an alternative choice of finish and allowed room for things like ammunition limbers etc. You can saw, drill or scribe the plaster fairly easily if you need to. 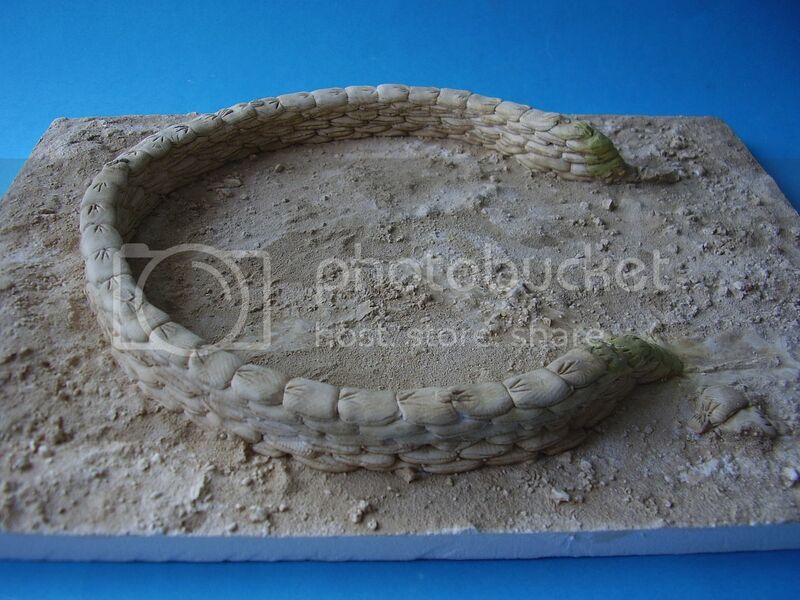 This would be a suitable base for any desert or arid region you might which to model. Given that this item is plaster you will need to mount it on a base of your choosing. Overall a very nice base, the beauty of these being that if you don’t have the time to construct your own then a large part of the work gets done for you. The downside for me was that the entrance area somewhat restricts the display space, so for me a small alteration will be necessary. That said working with the plaster is reasonably easy, I was able to remove a section of sandbags just by scribing through the plaster in about 20 minutes. Highs: Paint and go and you’ll have a fairly quick basic base for you kit. Lows: The weight affects the postage cost, so show buys will save you money. I would like to have seen more flexibility with the emplacement opening. Its hard not to get inspired at their display stand. They have quite an extensive range and where they usually are located at the Euros they hard to miss. Lots of handy "time saving" items of good quality. Looks like a great purchase Alan. A bit of paint, some grass and details, this should look great. I recently bought one of their large Bunkers- couldn't believe the quality of it- hands down the best plaster mould I've ever seen and it didn't feel in the least bit brittle like some do. This sandbag emplacement looks equally as good. any solution to buy them outside UK and not pay high postage?